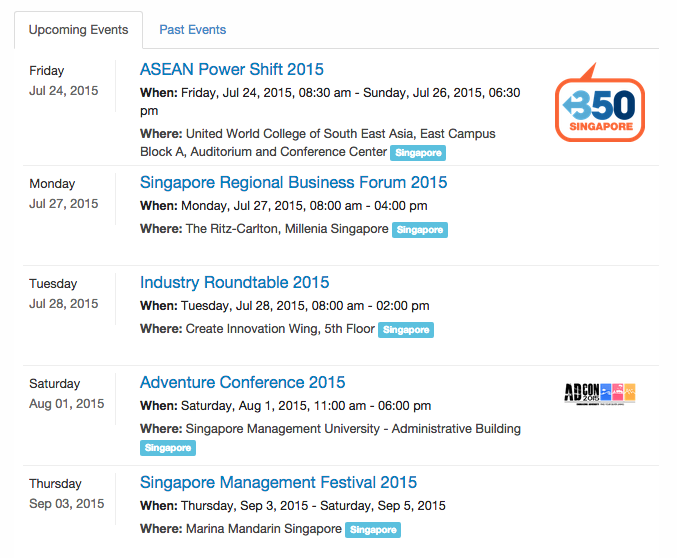 Feature Update: Find events in Singapore more easily on EventNook! Bored? Want to know the upcoming events in Singapore? Finding events in Singapore has become even easier on EventNook with this over-the-weekend update! To access this useful feature, scroll to the bottom of the EventNook homepage and click on “Browse Events in Singapore“. You can now view upcoming and past event listings on a single page! You can also browse events by type! Looking for startup networking events? Then look under Business/ Social Networking events! Looking for a cooking or baking class? Then you will most likely find it under Training, Class or Courses. Not sure what event to attend? Just want a quality event to chill out at? Then browse our Featured Upcoming Events and let something catch your eye!